It took years, but the Vermont Senate finally approved a ban on corporate campaign donations Wednesday. The bill states that only individuals, parties and political action committees can contribute money to state candidates. After giving preliminary approval to similar legislation in 2013, the Senate did an about-face. Wednesday's debate was less eventful, but still included complaints from lawmakers worried about losing some of their funding streams. Sen. Ann Cummings (D-Washington) expressed concern that the bill would discourage contributions from "my very warm, friendly, voting elderly constituents who frequently have their money in a revocable trust." 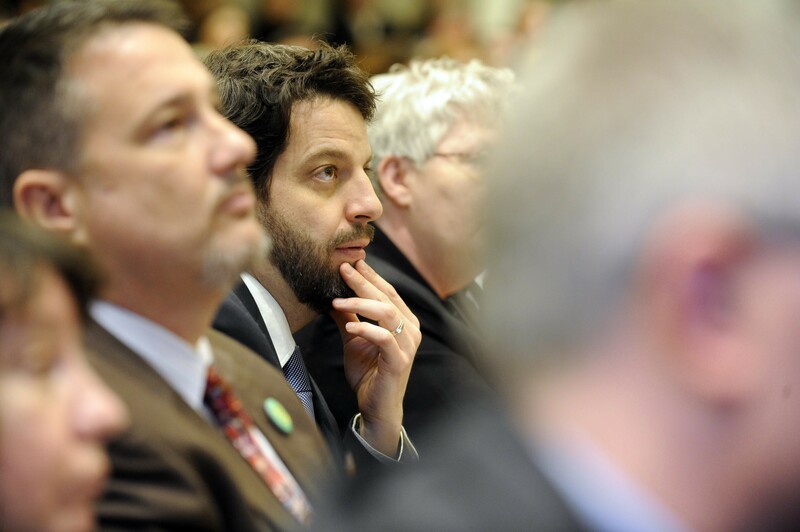 Suggesting that "we’re sweeping in more than we intended," Sen. Michael Sirotkin (D-Chittenden) questioned why a two-person partnership shouldn't be able to donate to a candidate, which would allow people who may not want to donate under their own names to give through a business. "Your name should be on a list," retorted Sen. Chris Pearson (P/D-Chittenden). He described the legislation as "an assurance to Vermonters that we recognize the role that money plays [in elections and] we’re trying to set reasonable limits." Other senators took umbrage at the notion that all corporate donations are unseemly. "I thought I was quite ethical but now I’m not sure that I am," Sen. Jane Kitchel (D-Caledonia) quipped. "When people talk about corporations, they tend to think of very large, very wealthy national corporations … they don’t think of a local grocery store or a local hardware store sending a check." In the end, 23 senators, including Cummings, Sirotkin and Kitchel, voted for the bill, S.120, which is scheduled for final Senate approval on Thursday. If passed, it will head to the House for debate.